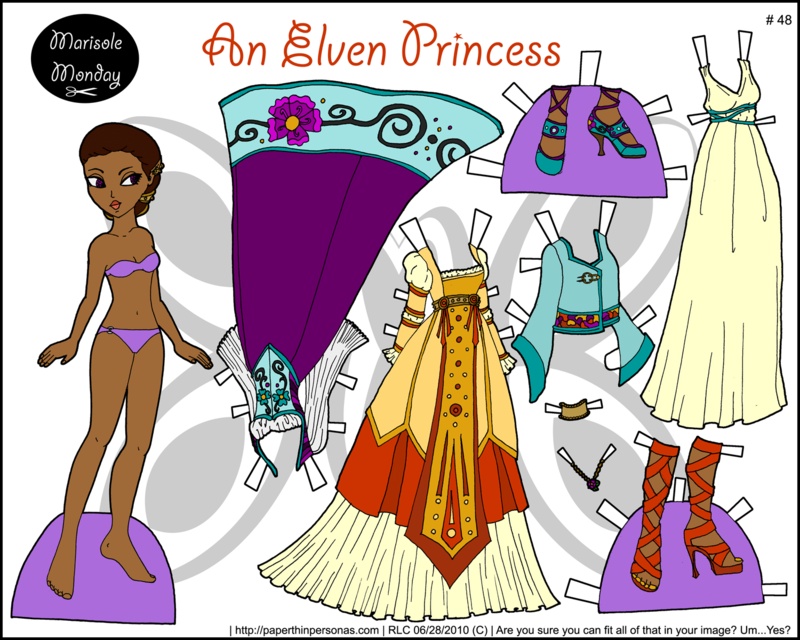 So, a paper doll set! Yay! The original goal was to draw things with trains (because I need practice) and this evolved into a set of clothing a fantasy princess (in this case Elven cause of the ears) would wear over the course of the day. Working left to right, the purple gown with the corset and white blouse is her day dress. The red and gold dress with the cream under dress is her formal dinner gown or ball gown which she wears in the evening. Her short bed jacket is next held closed with a golden pin and that she wears over her long nightgown which is on the far right along with two pairs of shoes. The purple shoe to match her purple day dress and the red shoes to go with her formal ball-gown. She also has two necklaces, one to go with each gown though the gold one can be worn with either dress. Planning never was my strong suit, but I like to think that I make up for it with a can-do attitude and a certain amount of gumption. I love the purple and blue day dress!!! Thank you, Monica. I always enjoy getting feedback. My favorite is the red and gold dress, but I think mostly because of the shoes to match. I do have a thing for shoes.